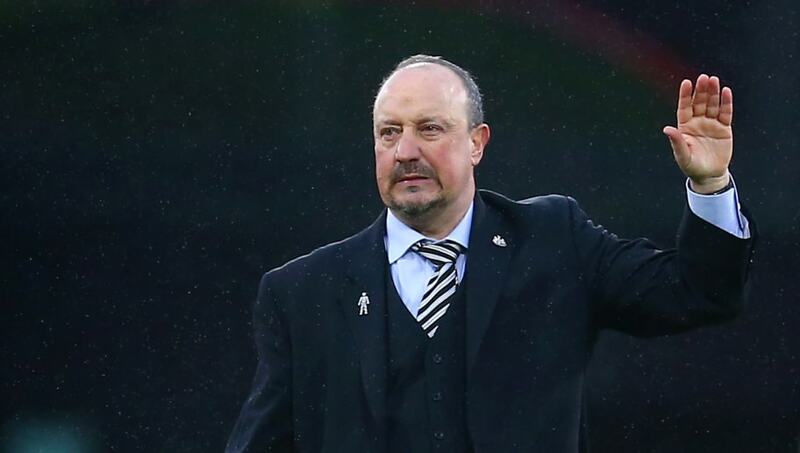 Newcastle United boss Rafael Benitez has admitted he doesn't know where his managerial future lies, claiming he only has '10 years left' in the game. The former Liverpool and Chelsea manager is currently on the fringes of a relegation battle with the Magpies, and Benitez has been discussing his future in the game, with the possibility of returning to Valencia the main talking point. Looking back on his time at the Mestalla for ​Radio Marca in Spain, Benitez explained: "I have a lot of respect for the coach of Valencia [Marcelino Garcia Toral]. I have 10 years of football left and you never know where I will end up. "So far in my career, I have never returned to an old club because the circumstances to do so have never transpired." Benitez enjoyed a hugely successful spell with Els Taronges between 2001 and 2004, winning the UEFA Cup and two La Liga titles - a feat Rafa has likened to ​Leicester City's Premier League win in 2016. "I feel emotion and pride because in the end they were years with triumphs, and some lows and adversity," he said. "The second year when we won was special because we didn't have money and it is very complicated to surprise the big teams. You can do it in the Champions League or the Copa [del Rey]... but to do what Leicester did was an immense achievement." Benitez's time at the Mestalla earned him the Liverpool job the following year, where he guided ​​Liverpool to their historic Champions League victory over ​Milan in Istanbul, but the Spaniard admits he does not know what or when his next move will be. The ​Newcastle boss is in the final year of his contract and it's yet unknown whether he will extend his deal at St James' Park amid the continuous power struggles with owner Mike Ashley. The Toon Army's fortunes have improved as of late, winning three of their previous five matches, and have moved up to 13th in the Premier League table - seven points clear of the drop zone.